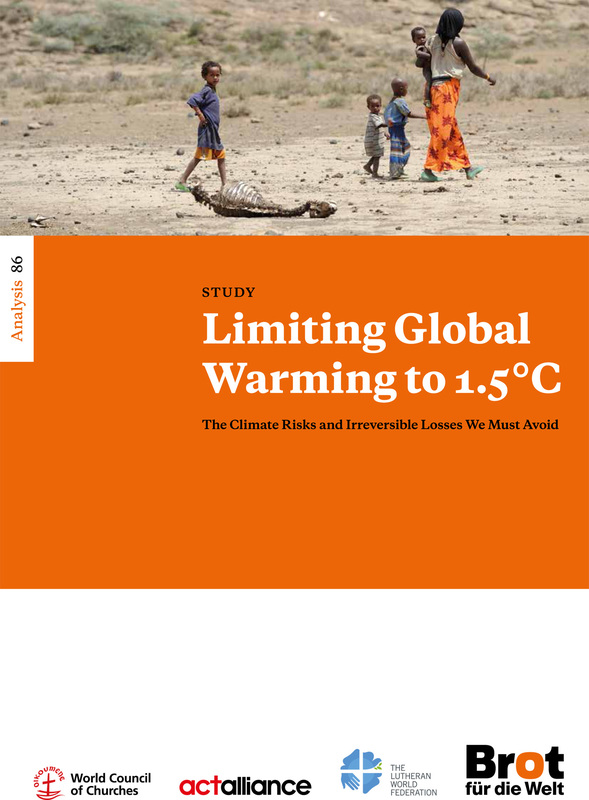 The recent Special Report on Global Warming of 1.5°C by the Intergovernmental Panel on Climate Change (IPCC) highlights the importance of limiting global warming at 1.5°C degrees instead of 2°C degrees. It outlines that the world cannot afford to lose time, but rather pursue all sustainable and human rights-based efforts to stay at 1.5°C degree. In addition, this publication highlights the day to day challenges and vulnerabilities that communities and partners in the Global South face in the wake of climate change. As a faith-based organization we are very concerned that marginalized, vulnerable, and poor people are affected by climate change impacts that are increasingly exposing them to emergencies and humanitarian crises. If we fail to address climate change and to increase the efforts to protect the affected communities now, we will bear the incalculable risks to future generations. In other words, if we significantly increase our ambition and efforts towards the protection of the poorest and most vulnerable to climate change, we will be taking steps towards ensuring that the rest of the world and the future generations are protected. The publication discusses the various vulnerability aspects of climate change and the significant differences between 1.5°C and 2°C of global warming, and the resultant impacts on sustainable development as elaborated in the Agenda 2030 and the Sustainable Development Goals (SDGs).